Supernatural 11x21 "All in the Family"
The whole Amara/Darkness of it all this season has been a bit lackluster, BUT I have surprisingly liked this re-introduction of Chuck/GAHHG. Does that mean I like the Darkness stuff now? Not really, but whatever. Maybe I just like Rob Benedict. Anyway, this episode picks up right where the last one left off, with the brothers Winchester in the street with the big kahuna. He whisks them back to the bunker to chat, wherein Dean basically calls him out for leaving his creation alone for so long, and he says intervening all the time didn't really do anything in the end, it was just enabling (an argument against helicopter parenting?). It's still a bit of an impasse, though, because things on Earth haven't really improved much even after he stopped punishing and saving and all that. Which does sort of beg the question - why intervene now? Well, we'll get to that, I suppose. To be honest, not a lot in the way of action happens in this episode, it's very philosophical in a lot of ways, but I quite enjoyed that aspect. We got to see Kevin very briefly, for example, as a way for Chuck to give the Winchesters proof of who he really is. And get to hear Sam babble a bit, wondering what's up with ears and the planets, but never getting any real answers other than Chuck likes to take long showers and sing old show tunes. Regardless, some action DOES take place. For example, Metatron gets wind that Sam and Dean have met up with Chuck, and wants to meet with them. They're reluctant, but agree, and he shows them the book Chuck was working on - basically a suicide note rather than an autobiography. He's going to sacrifice himself to Amara. Dean confronts him about this, and he clarifies that yes, he's going to do that, and she'll leave them alone once he does because her beef is with him and not his creation. Well, not so sure about THAT, but okay. In another town ravaged by the Amara fog sickness, a new prophet is chosen. The brothers track him down (why not a female prophet, hmm? ), and give him the lowdown on what's going on, but he's really there to help them track down where Amara is, so that they can free Casifer. Because the last time Chuck was able to get rid of Amara, it was only with the help of Lucifer. So, they figure if he's around to help again, maybe they can get the ole team back together and etc. 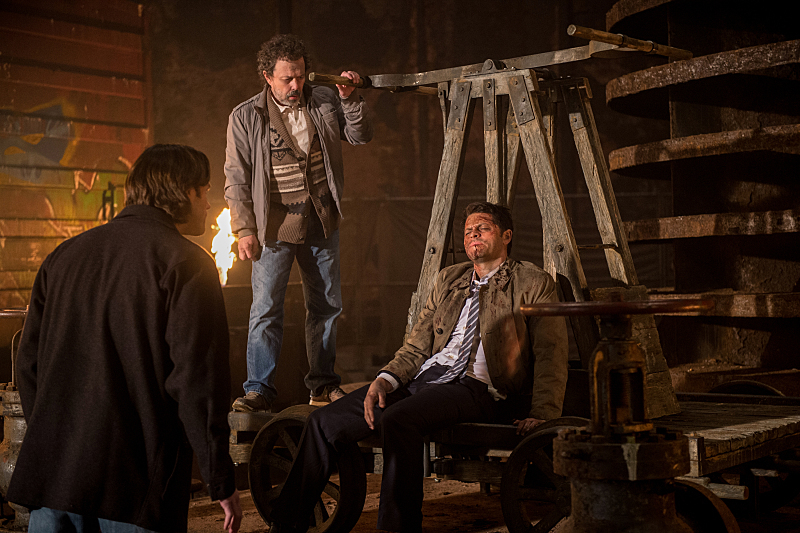 While Sam, Metatron and the prophet Donatello work on freeing Casifer, Dean is chatting up Amara to distract her. She wants him to become part of her and leave this mortal coil. Yes, become PART of her. Not just, like, go away with her, but become part of her being or something. Dean's like yeah... probably no. Metatron stays behind to bide them some time to get away with Casifer, but that time proves quite short as Amara just dark swirls him into nothingness. She's about to do something similar to the others before Chuck bops them back to the bunker. He heals up Lucifer, and they stare at each other all disdainfully (and longingly, I might add), because no one is without their daddy issues on this show. What does it all mean for defeating Amara? We've got two more episodes to find out. - It does seem a little like things are going to end with Chuck and Amara kind of canceling each other out and going kaboom, but who knows. What that would mean going forward for Heaven and Hell and all that, I could see them exploring in the future. Although it does seem like we've been down that road in other ways already, so maybe not. - I didn't get all of the fun quotes below; this episode was quite chock full of them, really. Even when dealing with big issues, I like when they keep things a bit lighter. - How the heck does Jensen keep looking better with age? My goodness. Ahem. Sorry. Not that Jared doesn't too, it just struck me in that forest scene with Jensen. 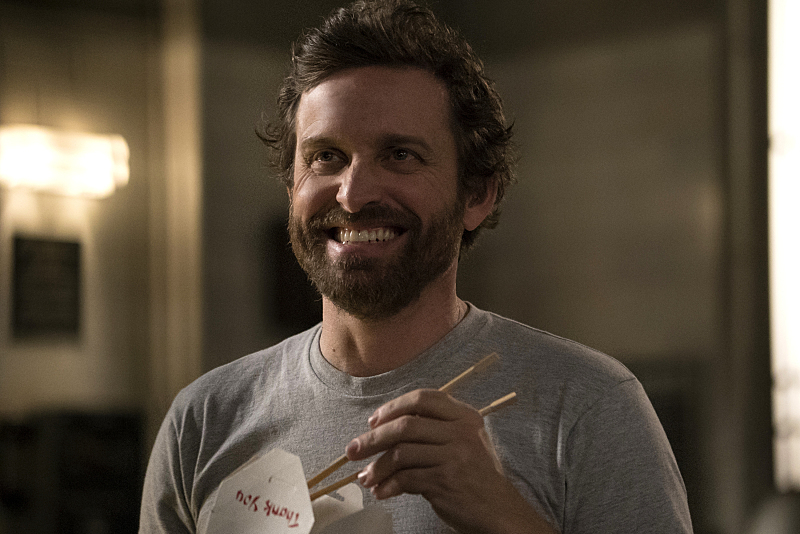 - For anyone who wants the song from last week sang by Rob Benedict, you can download it: HERE. Kevin: I always trusted you. Dean: Yeah, that ended well. Chuck: I know you had a complicated upbringing, Dean. But don't confuse me with your dad. Chuck: So, no. Thus spake the Lord. Donatello: Call me Donatello. I'm named after him. Dean: The... mutant ninja turtle? Donatello: Wow, I so miss being an Atheist.